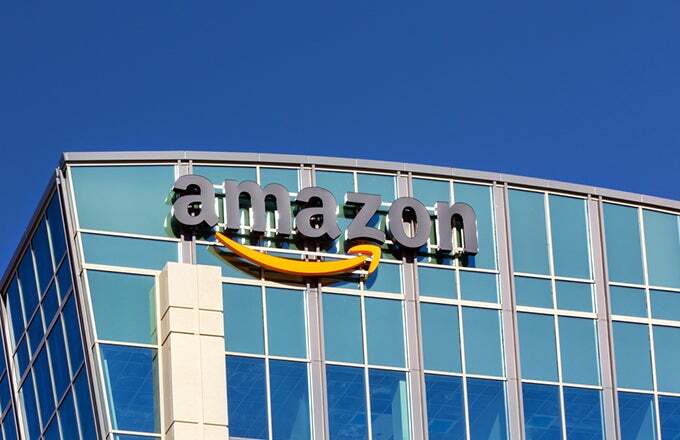 Amazon.com Inc (AMZN) is an astonishing success story and the leader in online commerce. It started out selling books but quickly expanded into other products. As of 2018, it has a presence in nearly every consumer-oriented market, becoming a disruptive force in the retail space. There are a number of reasons customers have increased their spending on Amazon, including excellent customer service, competitive prices, fast shipping, wide selection, and effective digital marketing. The first step of the buying process is to access Amazon’s website and log into your account. The website then changes based on your previous searches on Amazon and products purchased. Thus, nearly everyone’s Amazon experience is unique with a personalized layout. Once you find a product you want to purchase, click Add to Shopping Cart. From there, you are taken to a page where you must enter your shipping and billing information. Once you enter this information and select your desired shipping option, click the final confirmation button to complete the order. Once a customer submits his order, Amazon’s impressive backend system starts working. Orders from third-party sellers are routed to Amazon, which takes a cut of those sales. However, most orders go through Amazon’s warehouses, which are spread out across the world. These are stocked based on algorithms that predict the types and number of products being ordered in that region. These algorithms and fulfillment centers are one of the differentiators between Amazon and other online retailers. They make up the secret sauce that allows the company to consistently deliver faster and offer cheaper prices to customers. The Amazon backend routes the order to the nearest fulfillment center, where a picker finds it. The product is packed and then placed in a waiting delivery truck, depending on the shipping option. The entire process may only take minutes from when the customer gives a final order confirmation before it is placed in the delivery truck. Customers should not worry about any significant security threat from sharing payment information on Amazon. The company has never had any significant breach of security, as it understands that buyers trusting the company is integral to its future success. Many buyers keep uploaded payment information on Amazon to activate one-click ordering. It is understandable that many people may have concerns about Amazon, as it is an aggressive user of cookies that track users’ activities on different websites. Amazon uses this information to send emails, deliver ads and customize its offerings based on the online behavior of its customers. However, in terms of payment, Amazon uses Secure Sockets Layer, or SSL, which guarantees protection of payment information from third-party sources. Another concern about buying online is that many people are accustomed to touching and feeling a product before buying. This may not be necessary for books but it is certainly so for clothes or shoes. However, Amazon has a burgeoning business in these products because it has a hassle-free return policy for customers. If customers are in any way unsatisfied with their purchase, they receive a full refund with no questions asked. Many of the benefits of buying on Amazon have been detailed in this article, including Amazon’s excellent customer service, return policy, security, logistics, low prices, and customized experience. Of course, there are some ways in which customers find Amazon lacking. Many of these grievances stem from the company’s ruthlessness in dominating online retail. In its zeal for lower prices and market share, it tends to underpay workers in its fulfillment centers and squeeze sellers on its website. Further, Amazon has squeezed out many smaller retailers that are unable to compete. Additionally, retail has long been a source of employment for young or unskilled workers. Amazon and other large online retailers are able to offer lower costs because they are replacing these workers with technology.